A chemical compound found in olive oil can help prevent cancer that develops in the brain, according to a new study published in the journal Journal of Molecular Biology. The study on oleic acid (the main ingredient in olive oil) has shown how it can help prevent cancer-causing genes from being expressed in cells. The National Farmers' Federation (NFF) wants to grow agriculture to $100 billion in farm gate output by 2030. Reaching that goal requires new ideas to accelerate the industry's growth. In partnership with Telstra, the NFF is kicking off a national conversation to identify and champion new ideas for growth. Learn more here. By Rob McGavin's estimation, it took about a decade to get his business off the ground. Those seeds, pun intended, were planted while the Australian was in college. That's where he met Paul Riordan. They bonded over their farming backgrounds and aspired to produce olive oil right in their home country. Had to share this … not just because it’s good to see promotion of table olives but also for the instruction “Leave in the laundry, shed or disused sauna”. Because we all have one, of course! Got something to sell? Or want to buy? View new listings now! Thirty farmers rode through central Sydney on horseback last Saturday to raise awareness of the impacts of climate change on rural Australia. The Farmers for Climate Action riders were joined by other farmers on foot as they took part in the #Time2Choose rally against fossil fuels, and have also crowd-funded an advert about the impacts of climate change on rural Australia. View the ad here and learn more about Farmers for Climate Action here. The ACCC has proposed major changes to improve the safety of quad bikes, one of the leading causes of death and injury on Australian farms. 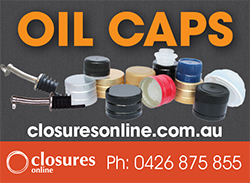 imposes minimum performance tests for dynamic handling, stability and mechanical suspension. The proposals are detailed in the Consultation Regulation Impact Statement here, which has been released for a six-week public consultation period. Anyone with an interest is encouraged to make a submission, which can be done online here up to 4 May 2018. SIMILITUDE is conducting an organic waste audit which includes the olive industry. All olive growers and processors in the region are encouraged to contact Frank Stadler to participate in the audit and to express their interest in a new recycling initiative. Contact 0422 731 540 or f.stadler@similitude.org, and see more information on the company’s work here. • have the capability to meet tomorrow’s challenges. Deadline for nominations is April 8. More information here. Applications are now open for three Churchill Fellowships being offered by Hort Innovation for international research on a topic related to horticulture. The scholarships are available to anyone working in a registered levy-paying Australian horticulture business. More information here. Rebates of up to $2.5K are available for 50% of advice/assessment costs to help farmers prepare and apply for a new insurance policy helping to management with drought and other risks. NB: receipt of funding may result in ineligibility for other government support and may also have tax implications - seek qualified advice. Deadline for applications is 15 May 2019. More information and apply here. 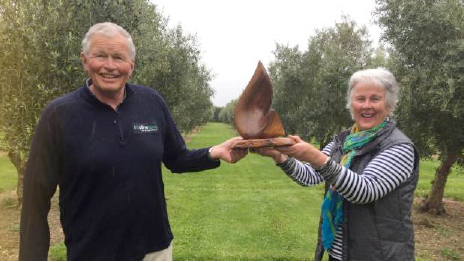 At the 2017 NZ EVOO Awards Kate and Mark Bunny took home the Best in Show trophy for the second time – and yet they say they still have a lot to learn. 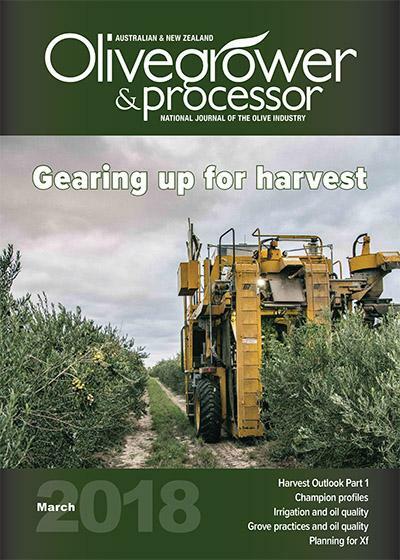 You can read about their winning philosophy and grove practices in the March edition of Olivegrower & Processor – one of two feature articles on the major award winners of 2017, Loopline OLIVES and Rylestone Olive Press. Not a subscriber? You can do so here. The European Commission released an update of the current wholesale prices of olive oil in the major markets of Spain, Italy and Greece revealing rates generally lower than the same period of last year. Horticulture Week has heard unconfirmed reports of four Xylella interceptions. Reports of a coffee plant Xylella interception from Costa Rica surfaced in January, while reports of newer interceptions are believed to include one on lavender from the Toulon area southern France, imported into southern England. In view of proposed amendments to a regulation covering the requirements for certain optional indications on the labeling of olive oil, the European Commission’s directorate-general for Agriculture and Rural Development has requested feedback from stakeholders via a dedicated website. Spain, Germany, Netherlands and Italy made the most requests last year in a system to deal with fraudulent activities along the agri-food chain. The new olive varieties that have been catalogued. Credit: Carmen González-Barrerio, Beatriz Cancho-Grande. 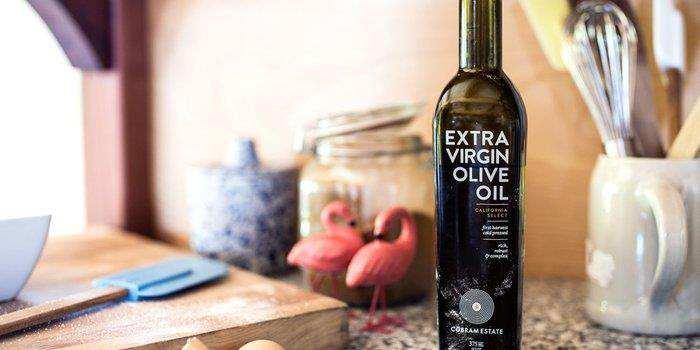 Olive oil is a key element and one of the main sources of fat in the Mediterranean diet. Olive oil is remarkable for its nutrients and Spain has the honor of being the number one producer of this "liquid gold." 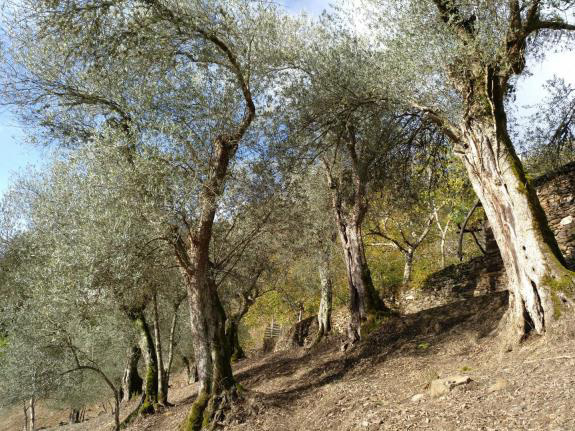 Micro-organisms play a larger role than previously thought in affecting the chemical and sensory qualities of olive oil, research from the University of Molise suggests. Yeasts are among the micro-organisms present in olive oil and, depending on their enzymatic activities, they can either improve or damage the oil quality.